Can honey really be organic? Organic beekeeping is actually a very complex business. Below are my tips for purchasing honey generally – including local honey and organic, but first, I think it’s worth going into a little background information. Please note, regulations and practices are changing and evolving all the time. The information below was written some years ago, and may be out of date. Please check in your local region or country for further information. A good place to start would be your government office responsible for food regulations and labelling. You could also check your government agency responsible for farming and agriculture. The reality is, that regulations and standards may vary by country, as well as the way in which these standards are monitored. In the UK for example, standards are extremely strict, making it virtually impossible for the majority of beekeepers to produce certified organic honey from their beehives if at all. You can read more about this on my page Organic Beekeeping (opens a new window). Sadly, sometimes, people buying organic honey in the UK, may actually be purchasing imported honey. 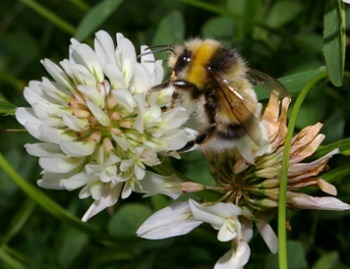 Bees fly to find suitable sources of nectar and pollen. Placing bees on organic farms does not necessarily mean the honey produced could be certified as organic honey. This is because there may be possible sources of contamination nearby, from roads and motorways, town centres and so on, which may be within flying and foraging distance for the honey bees! If the intention is to sell organic honey to retailers, then remember the honey will need to be produced in significant volumes. In practice, this means that for larger scale organic beekeepers, they must find not only a suitable location, but one which can support a number of bee hives, and that is rich in suitable flora, to provide all the nectar and pollen needed by the bees. Given the restrictions imposed for organic beekeeping, this is not always easy. Not all beekeepers can afford certification. Avoid using chemicals in the hive, such as veterinary medicines and pesticides. Instead, they’ll ensure to maintain the bees in optimum health, resorting to natural treatments and methods in dealing with any problems. They will keep their bees in wooden hives made from untreated timber (these days it is possible to purchase bee hives made from polystyrene and plastic). Although they cannot guarantee the bees will not come into contact with pollutants, organic beekeepers will generally do what they can, keeping the bees on organic allotments, in organic gardens or farms, for example. It is usual among organic beekeepers that honey bees are able to eat their own honey during the winter months. (Note, there is no requirement on commercial non-organic producers to ensure the bees get their own honey, and they may instead be fed sugar, and all the honey bees' stores may be removed). 1. 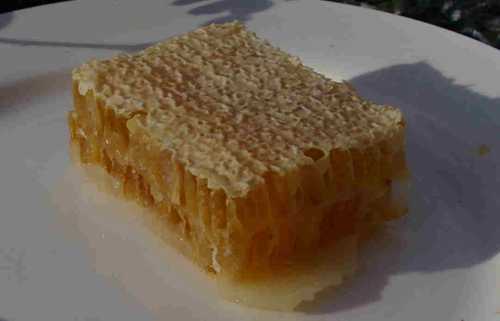 Honey takes considerable effort to produce, especially where the bees are concerned – you can read more on this page: How Do Bees Make Honey? Beekeepers themselves may go to considerable effort and expense in bringing honey to the table. Yet sadly, with mass consumerism and the rise of the big supermarket, many of us have lost touch with nature, and how food is produced. Big Supermarkets compete on price and many people want bargains – cheap food, this is understandable, but there is a price to be paid somewhere along the line. On the otherhand, if you are able to purchase directly from a beekeeper, you can cut out the large supermarket chain. We’ve seen shocking standards in so-called honey production, one of the biggest scandals in some countries has quite simply been that the product sold as honey, is hardly honey at all – instead, it is a concoction of honey and corn syrup. As I said, there’s a price to be paid for ‘cheap’ somewhere. It’s just my view, but I think honey should NEVER be treated as a cheap commodity. 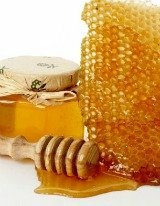 Honey is precious, and if man is going to harvest it, it should be valued as such, viewed as a treat, appropriately priced, and the standards should be maintained to a very high level, both in the standard and purity of the honey itself, and the treatment of the wonderful honey bees that make it. 2. Honey bees produce honey as winter stores they can eat, when they are unable to forage, or there is little suitable forage material available to them. You can read more on the page: Why Do Bees Make Honey? 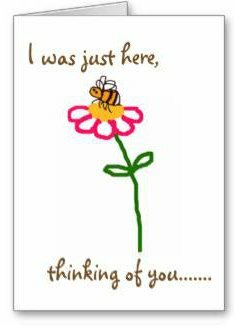 Therefore, beekeepers need to be mindful of this. A skilled beekeeper will only take some of the honey, leaving behind what the bees need for themselves. Yet not all commercial beekeepers do this. But I'm not the only raising the point that we need to ensure the honey bees have honey for themselves. “A careful beekeeper will not take more than the colony can easily afford to miss”. “We consider it as self evident that if the bees store honey for their own use, then honey is what they want and need. Sugar syrup is, at best, a poor substitute. Therefore, we strive to leave enough honey in the hive for the bees’ winter feed”. 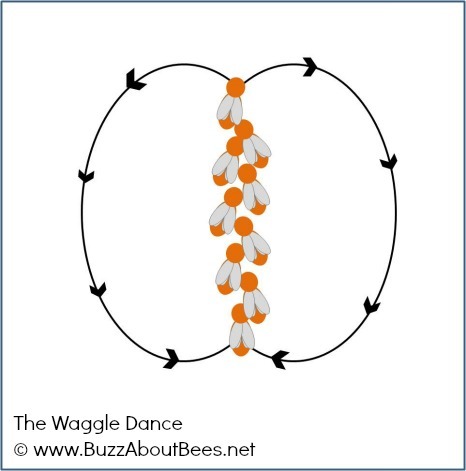 You can read more about why beekeepers feed sugar to bees here. 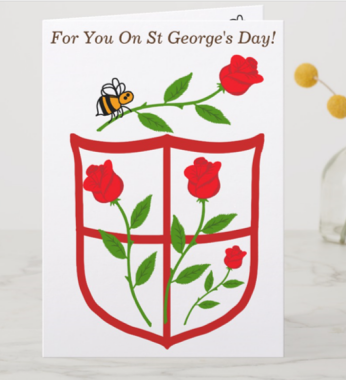 Always remember, however, that you can also do your bit to help honey bees and other bees in your area, by planting flowers for bees, and cutting out the pesticides. I have lots of guidance on this website, with many lists of plants. You can start here. Also, Is organic honey better for you? Is organic honey healthier? At the time of writing, I have not seen any investigation into this, although there may be some around. There are various studies indicating that contamination of honey with pesticides and other chemicals can occur. My personal preference is to avoid eating pesticides by purchasing organic where I can, and growing some of my own fruit and vegetables. I have a general page comparing honey and sugar, as well as a page asking 'Is honey good for you'. These pages attempt to look honestly at the subject, complete with nutrition tables and scientific evdience. Next page – tips for buying organic honey and local honey vs honey from the high street supermarket.